Mississauga was incorporated as a city in 1974, and as of January 2010 has a registered population of 729,000 people, making it Canada’s sixth largest city. Mississauga is part and parcel to the Greater Toronto Area, and is located within the boundaries of the Regional Municipality of Peel Ontario. It includes the neighborhoods of Malton, Meadowvale, Streetsville, Erin Mills, Clarkson, Woodlands, Cooksville, Britannia, Port Credit, Lakeview and Applewood. Mississauga is now the fastest growing city in Canada, and it has doubled its population over the past two decades. It has become home to a very diverse group of different ethnic backgrounds and has been voted one of the safest communities in Canada and many people find it a perfect place to raise a family. The average price of a detached home in Mississauga is just over $550,000. Finally, a mortgage rep that looks out for you! Whether you are a new immigrant looking to purchase a home, a first time homebuyer, wanting to refinance a mortgage in Mississauga, consolidate debt or renew a mortgage in Mississauga you will find the expertise of Jim Thornton and Moneytime.ca an excellent help. As an RMA associate he has access to over 40 banks and major mortgage lenders across the country and whether you are self employed, have no down payment or have a unique qualifying situation his commitment to success is unparalleled. A Promise is the key on which my business has been built. It is the expectation I live up to every time anyone has contact with me, whether it be through advertising, buying experiences, or encounters with my staff. My business promise is what makes people remember me and because of it I hope we can continue doing business. My promise is very simple. 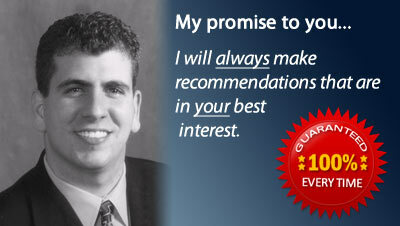 It is always to give my recommendations in the absolute best interest of my client and not myself. It is to put forth my very best effort on every file with the goal of a successful conclusion in mind. Scanning through the internet, I read so many mortgage websites and they’re all filled with information about the company, and information about the products, but nobody ever explains why. Why do you need a mortgage broker? I have spent the past six years as a mortgage broker and I can tell you a ton of information about each mortgage company, and I could compare for hours, many of the different products on the market, but that’s not what most people want to hear. The real question I find most people asking themselves is how do I know I’m getting a good deal? What is the bank not telling me and will I regret dealing with this bank?. I’ll tell you a story about a real client that I met with and I can assure you that this is just one of many. About two years ago when the credit crunch hit, I met with a friend of a friend to sit down and talk to him about his mortgage. At the time his monthly budget was getting extremely tight and by refinancing he could ease the stress and free up some cash. Like most agents, I went through the products with him and talked about how good each bank was. When I took a closer look at the terms of refinancing his present mortgage I discovered that his penalty to refinance was going to be $27,000 and because of this it would wipe out any savings he would gain. This meant it didn’t make sense for him to refinance and he was trapped until his mortgage came up for renewal in a couple years. I remember thinking that if I had been his mortgage broker at the time of his mortgage there were other choices available which would have been much less punitive. The reason this happens is because you could be dealing with a Bank Agent that is under pressure to produce profits. This means they don’t always have the best interest of the clients in mind. 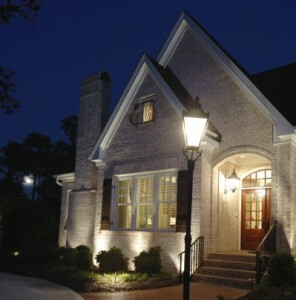 As a mortgage broker I am working to protect your interests and provide my best recommendations for you. My goal is to keep you as a satisfied client and get your business in the future and for life.